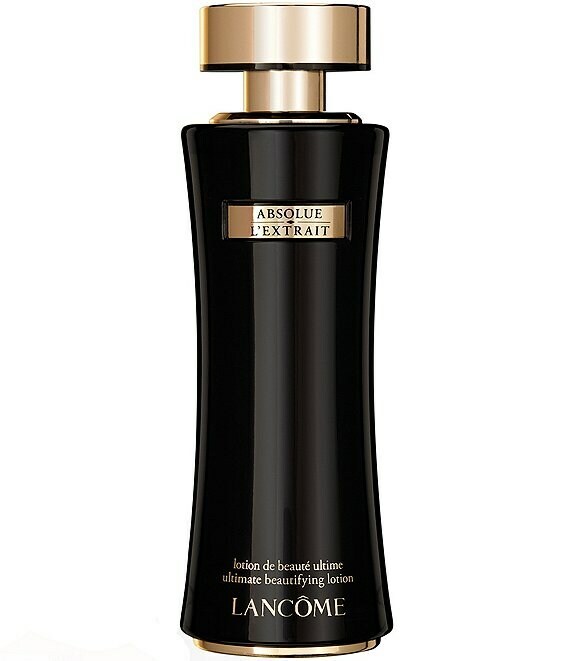 Absolue L'Extrait Ultimate Beautifying Lotion is the first essential step in the Absolue L'Extrait skincare ritual. The superfine hydrating mist contains natural rosewater, known for its ability to soften, hydrate and revive the radiance of skin. Each spritz releases the luminous scent of a rose garden in the morning as it envelops skin in freshness and comfort. Instantly, skin feels hydrated and more supple. Day after day, skin's texture looks improved and feels delicately soft and even. With its reviving efficacy, skin's complexion looks less dull and more luminous, revealing a beautiful rosy glow: Lancôme's classic "teint de rose."